A major challenge to the overall effectiveness of any sales force is maintaining a good mix of lead qualification, prospecting and appointment setting with face-to-face sales activities. We believe that b2b sales lead generation and appointment setting are two of the most powerful competitive weapons available today. In the vast majority of cases, we can boost the ROI on our clients’ investments in sales and marketing initiatives over 500 per cent with carefully managed lead generation and appointment setting initiatives. As an example, just one inside sales professional (Specialist) can access at least five and normally ten times as many decision makers on a given day as any sales person can – and this at a cost which is only one fourth the cost of an administrative assistant or freshman outside sales professional. Unfortunately, lead generation and appointment setting activities are generally underutilized or not used at all. Where they are, performance is ordinarily less than optimal. 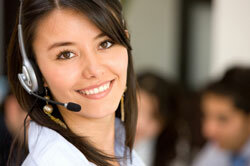 Moreover, the call center industry is typified by poor performing and often unscrupulous vendors. Over the years many call center operations, both US and overseas, have asked us to help them achieve better performance metrics. Due to the leveraging power that lead generation and appointment setting can have on sales organization and the lack of effective outsourcing alternatives, Sales Overdrive entered the field in the Spring of 1998 to meet its clients’ needs for appointment setting, business to business leads, lead qualification and opportunity identification services. The firm made substantial investments in this area beginning here in the United States. In 2007, the firm greatly expanded these capabilities with operations in the Philippines, in Koln, Germany and in Mexico. Since, we’ve expanded to Australia, the UK, Canada, In each location the firm has Sales OverDrive® management teams onsite supporting the inside sales Specialists. Armed with the firm’s intellectual property and techniques, these professionals consistently outperform any other group we’ve measured. To ensure quality control, we couple our American, European, Asian and Mexican client service teams with our American and native Sales OverDrive® management teams. This tight, end to end management approach and the proven Overdrive Lead Generation Methodology® ensures transparency, exemplary performance and great cost efficiencies for large and small clients in almost any industry. After target markets are identified, the Specialists identify, qualify, and engage real buyers and influencers in productive sales dialogues that are often carried through to the closed sale. In other cases we set up phone or face-to-face appointments with the best potential clients where qualified opportunities exist. Overdrive’s Inside B2B Sales Specialists® are university graduates, and in many cases they are nurses, engineers, technologists and other professionals with industry expertise specific to our client’s needs. They have an average of five years experience calling on decision makers, company owners and C-level executives. These Specialists are continuously rewarded for excellence and are trained in the powerful Overdrive methodologies. The firm has produced transformational results for companies in many industries since we first committed to made this service area of sales a center of excellence in 1998. For most clients we recommend launching an initial program of between three and six months with at least one Specialist. Within a week we will be setting qualified appointments and refining the techniques employed the Specialist employs, selling deeper and deeper into each prospect so that they either become closed customers over the phone or are passed on as qualified opportunities to you or your field sales executives. By virtue of the sheer number of positive, engaging conversations, within three to four months the marketplace of prospects and customers will have begun to talk to each other about your company. At that point the sales pipeline and booked sales begin to grow geometrically. We will be happy to share with you the training, daily activities, tools and methods, and management support we deploy to assure that our Specialists meet and exceed your expectations. Our b2b lead generators are all exclusively dedicated to specific clients and you have visibility into (and control over if you wish) everything they do. Based on our experience in over 700 client environments, the vast majority of companies (and virtually all B2B companies) can substantially increase sales, increase return on sales, and achieve better field sales performance and profitability by utilizing the lead generation and appointment setting that Sales Overdrive provides.